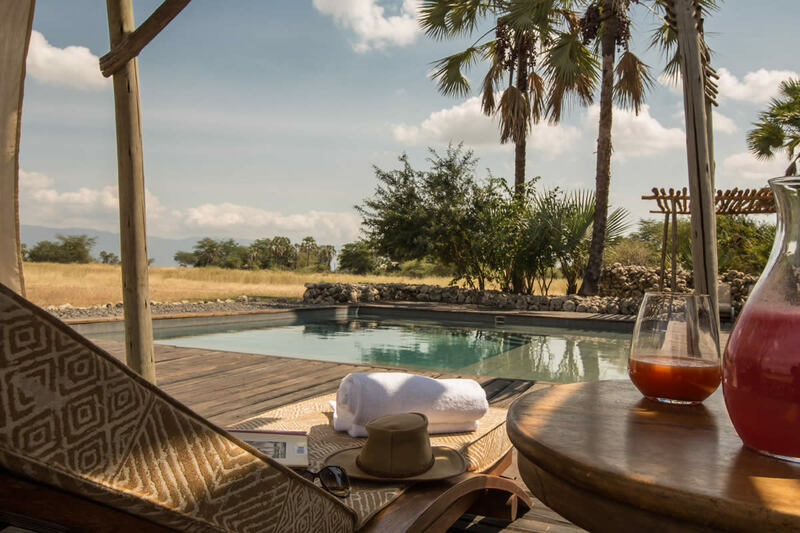 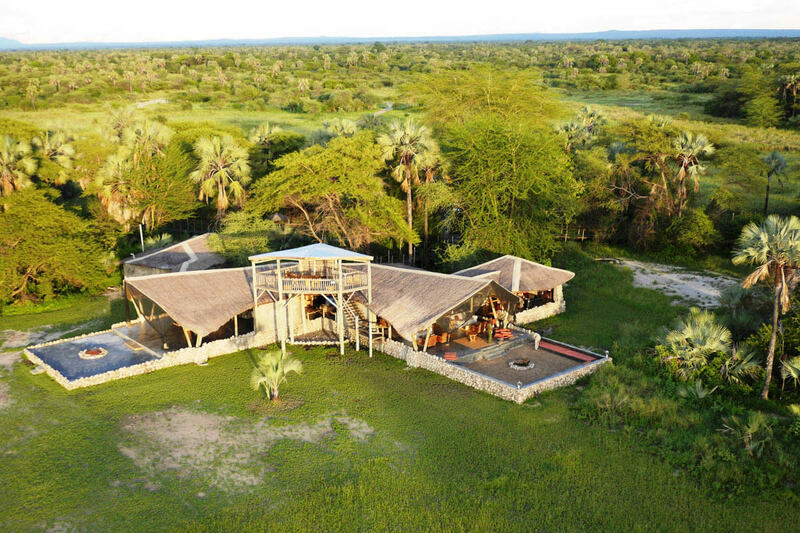 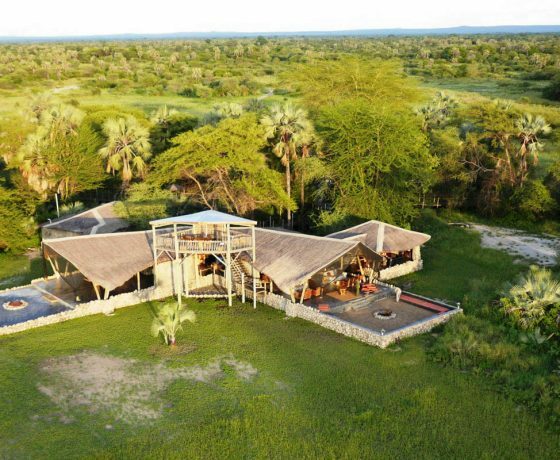 Chem Chem Lodge sits on its own private concession in the wildlife corridor between Tarangire National Park and Lake Manyara National Park with lakeshore forming its western boundary. 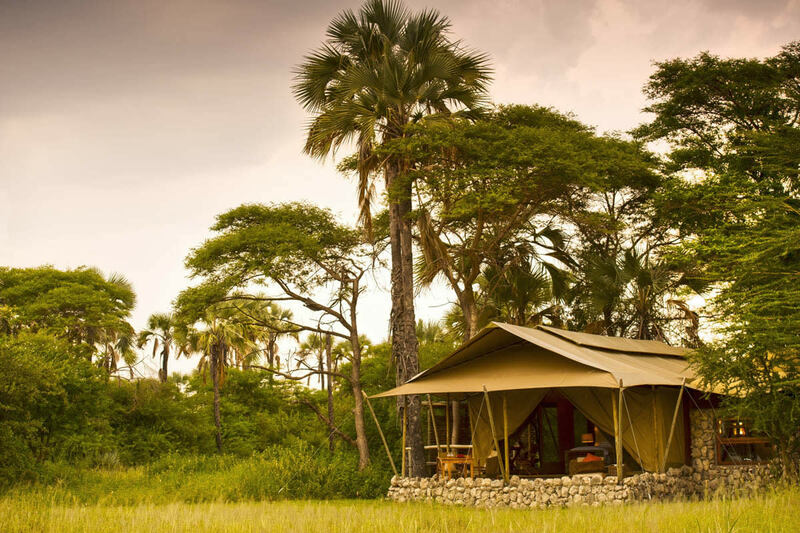 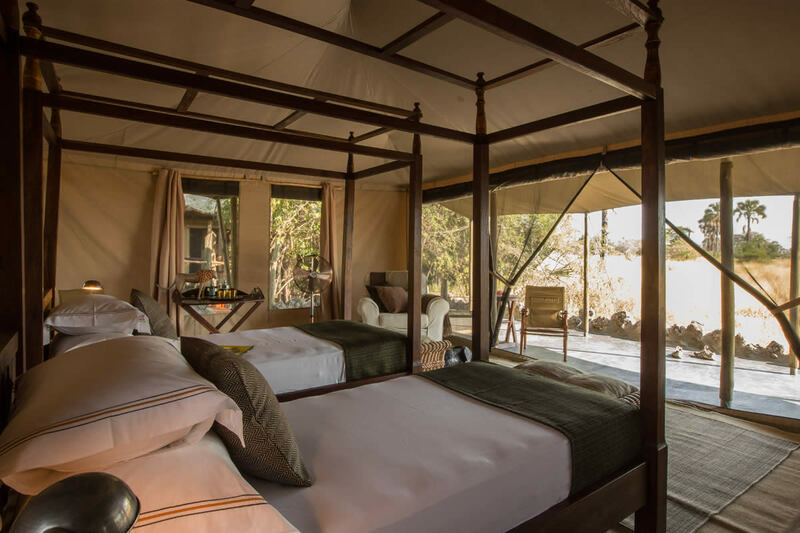 There are seven tented rooms at Chem Chem Lodge, each with its own en-suite bathroom, verandah and shaded day bed. 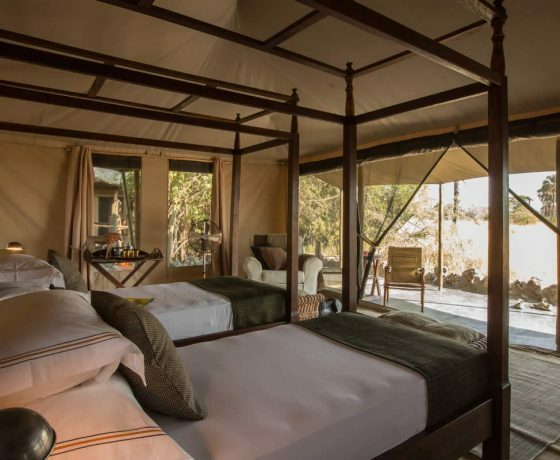 One of the rooms is a family suite comprising a main tent with en-suite facilities together with a separate children’s tent with its own en-suite bathroom; the two are joined by a short section of boardwalk. 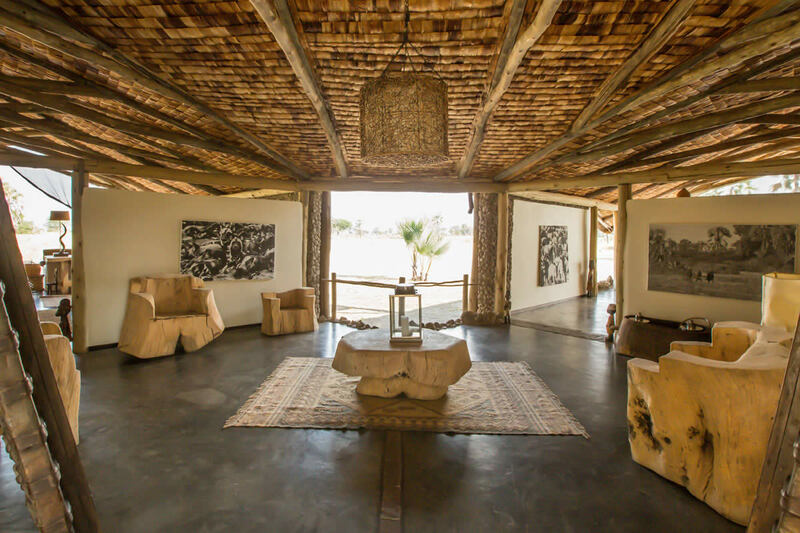 The thatched main area houses the bar and lounge, as well as a dining room, library and upstairs look out. 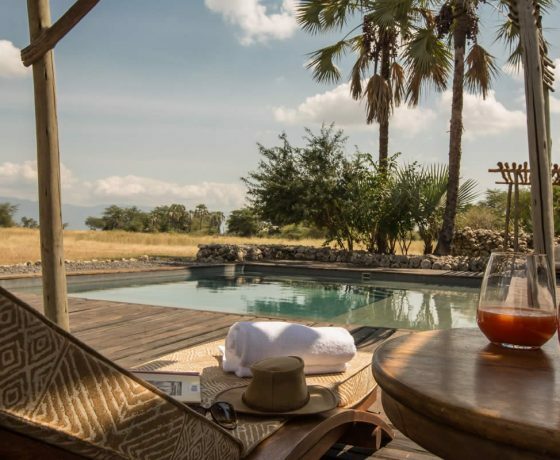 Outside there is also a pool and the Amani Spa for ultimate relaxation. 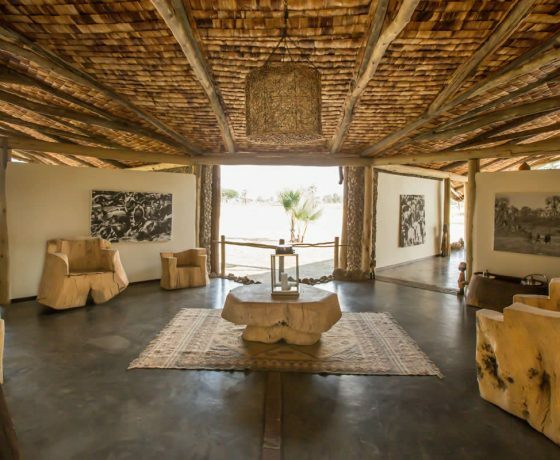 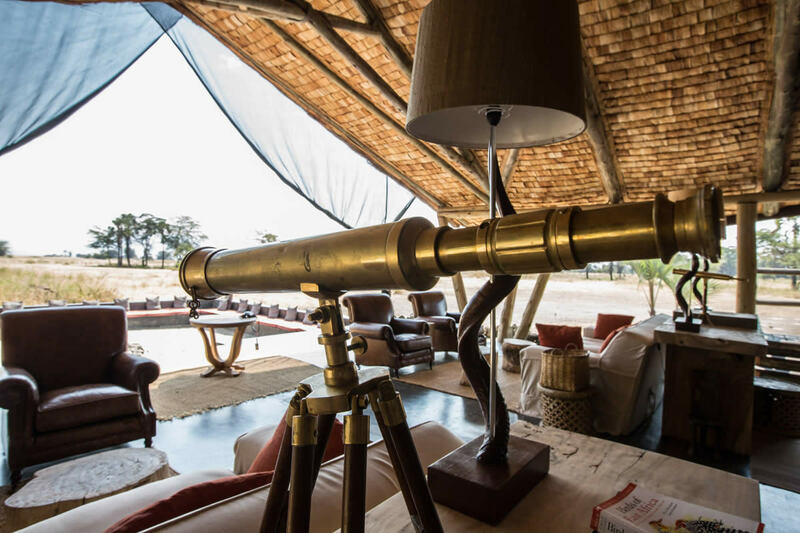 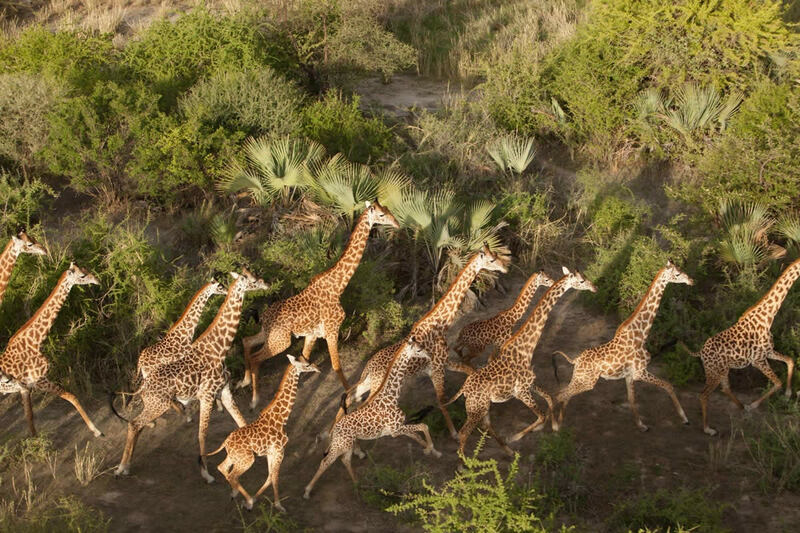 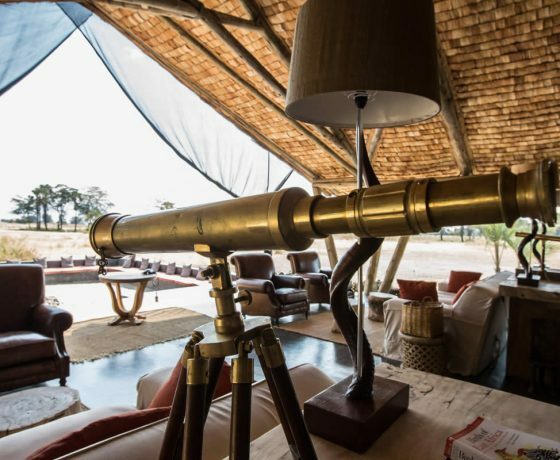 The lodge overlooks a waterhole, the only nearby source of water during the dry seasons, which provides excellent viewing of species such as giraffe and zebra from the main building and many of the tents. 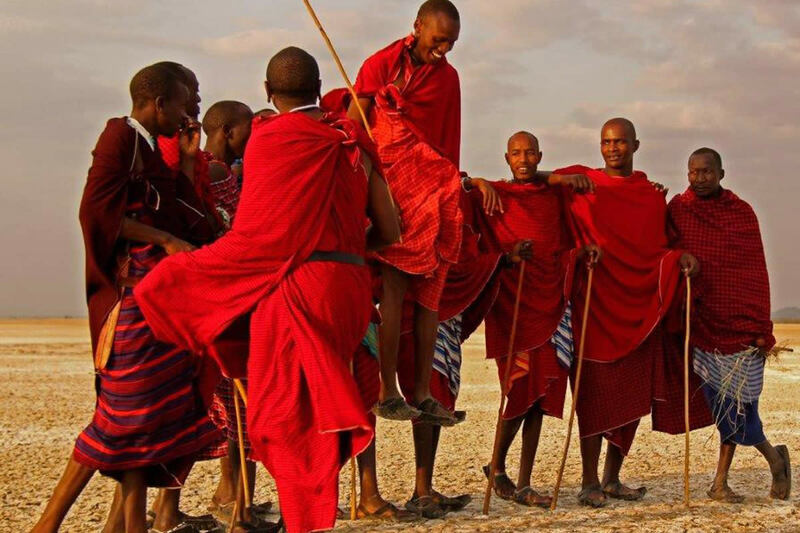 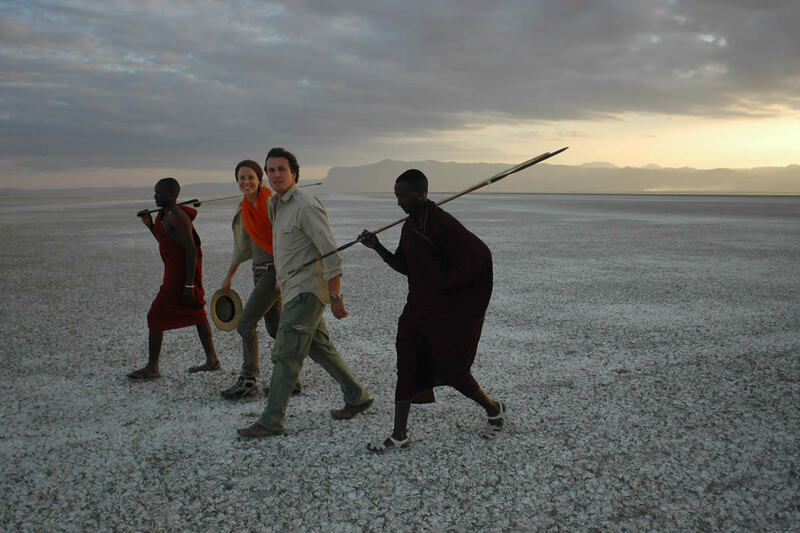 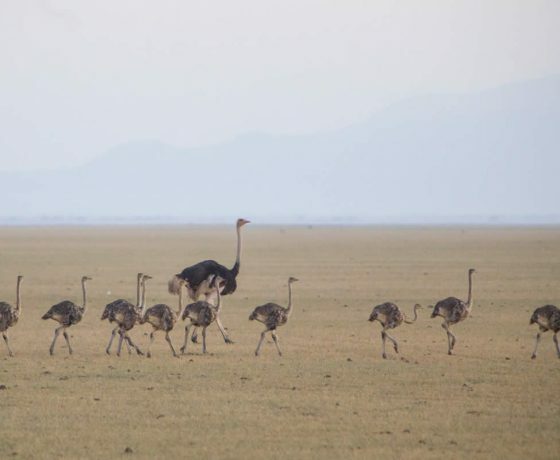 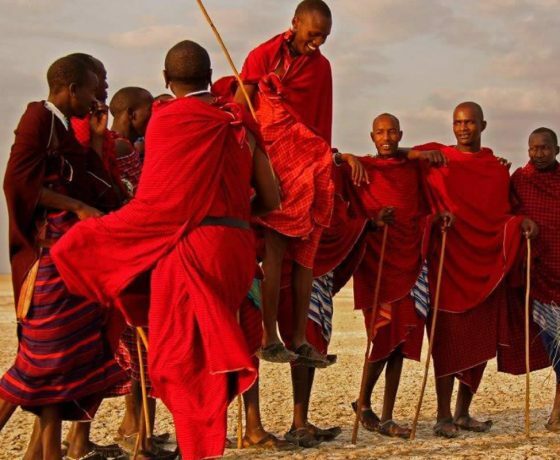 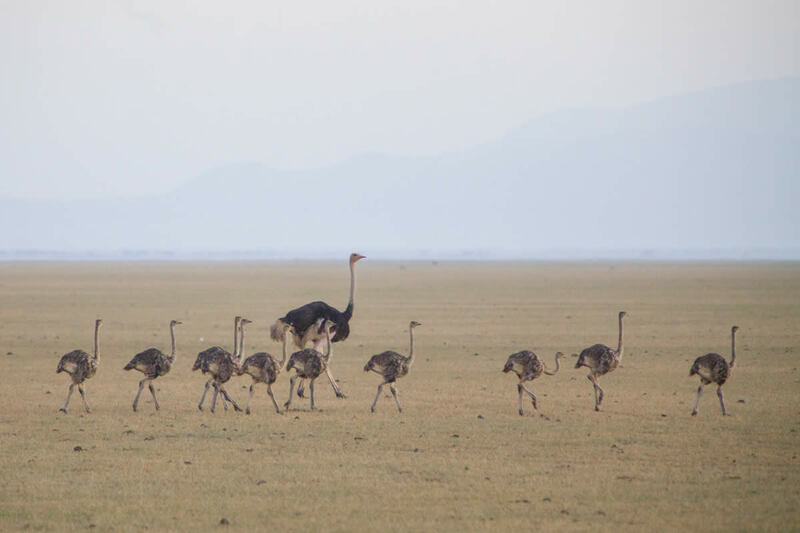 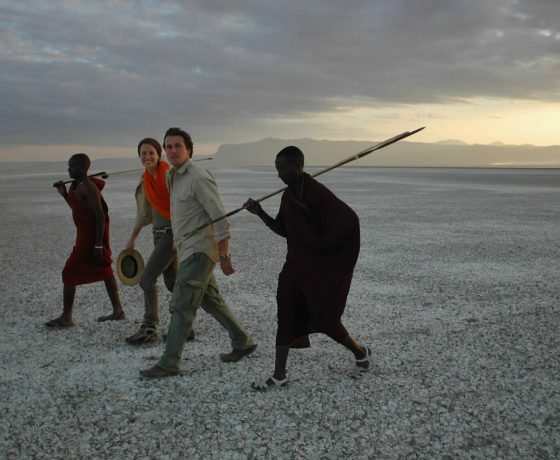 Chem Chem is an excellent spot for walking safaris and shorter game drives as well as visits to the eastern lakeshore of Lake Manyara. 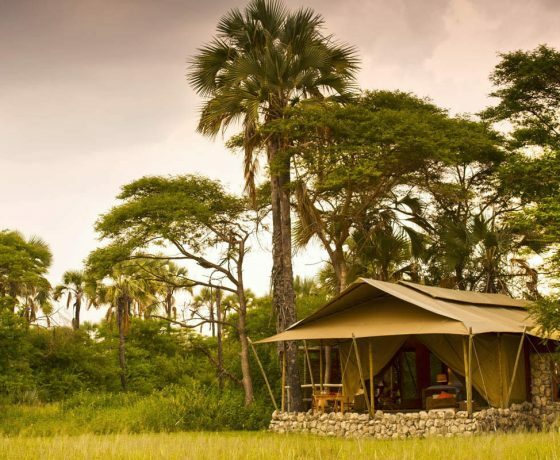 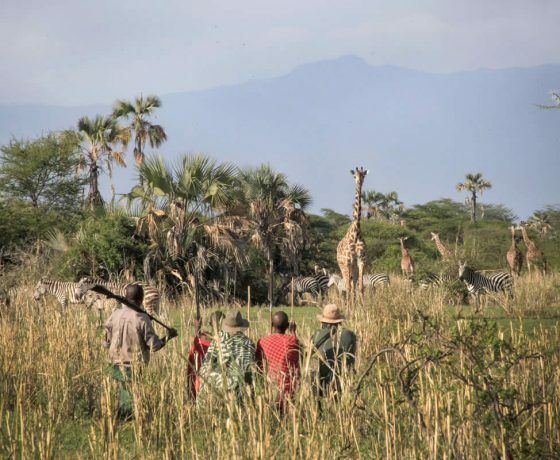 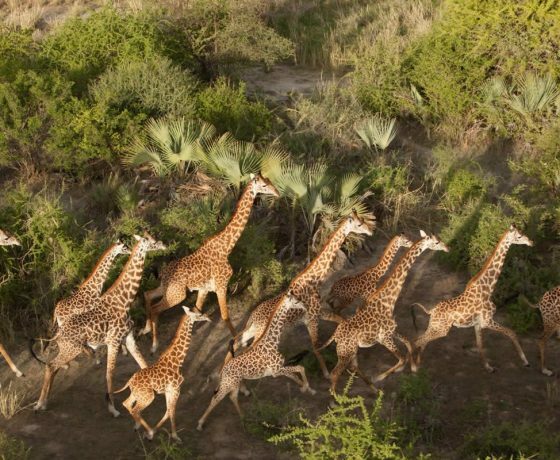 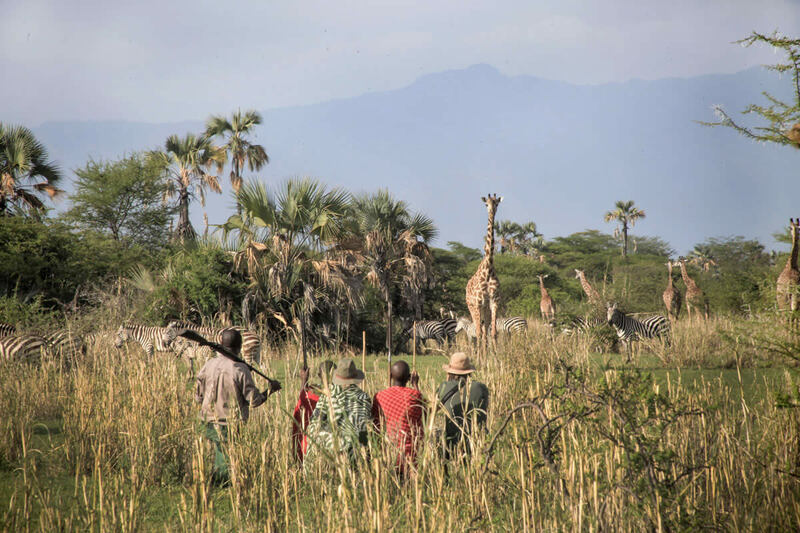 Also on offer are trips into Tarangire National Park or to a nearby Masai village where staff members’ family live.